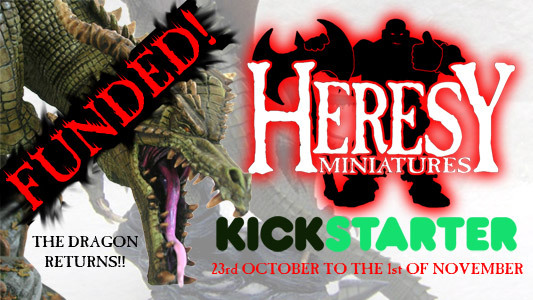 LATEST NEWS (Salute BIG SALE, HUGE DISCOUNTS) : Heresy Miniatures: , The best miniatures that you never heard of! No orders will ship this week unless you tell me it's super urgent, as the show is taking all my time, 12 hours a day all week casting and packing frantically. But I need more orders to get the money get there! in order to entice you to place anorder, you can take extra money off the Sale prices!! You can take an extra 10% off the SALE prices by entering the code SHIPAFTERSALUTE (all capitals) into the Redemption Code box (then hit 'Continue' to apply it) when you checkout! If you want to place an order to collect at the show on Saturday 6th April, you must place your order before 9am Tuesday the 2nd, as that's when i'll be packing them. Simply choose 'Collect At Salute' as the shipping option! Also, read the latest newsletter for full information about how to save even more if you order before Thursday the 4th! I am back in the workshop casting stuff and trying to catch up with the backlog of regular and kickstarter orders, so bear with me. Your order or pledge will be shipped as soon as I possibly can, I need them out of the way asap, as I have to get on with making stock for the Salute show in April! That's April 6th this year for some reason, much earlier than normal! 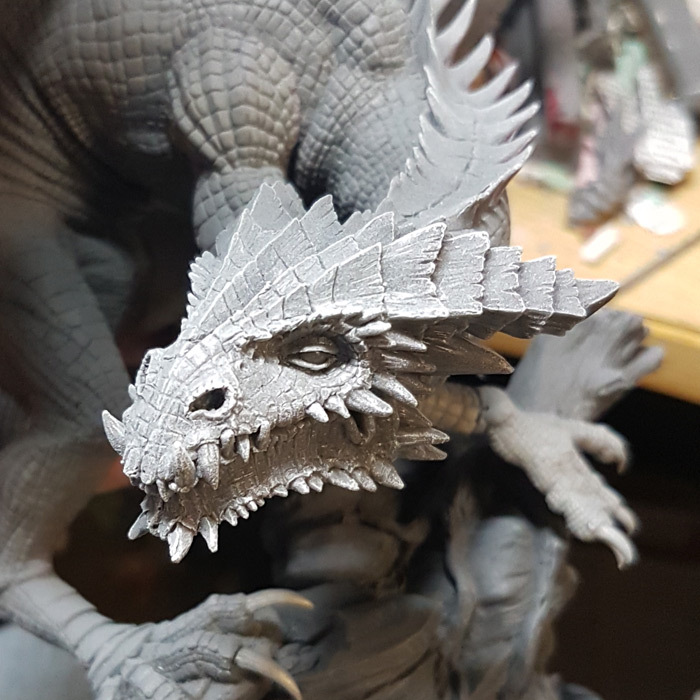 Yes, if you missed out on the Dragon the first time around, Andy has decided to finally relent and run a Kickstarter to raise the funds to buy enough silicon and resin to do another production run of Heresy's infamous and most splendidly impressive beast, the Dragon! The Kickstarter campaign ends November 1st, so hurry!!! I've been very quiet for th elast two months as I try to finish off two crucial models from th eKickstarter that will let me get most fo the remining pledges out - the Netherlord II and B'Hakoth the Destroyer. 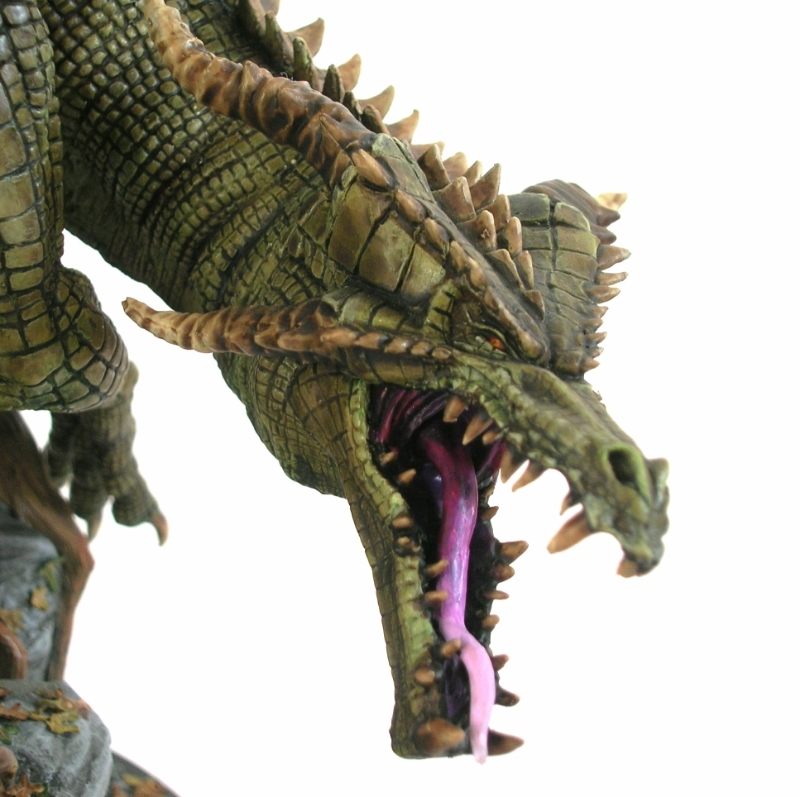 The NL2 has been up for pre-order for a couple of months now, but proved very very hard tophotograph in the original metal and green stuff master model, so beter pictures of this brute of a demon lord model will be forthcoming in th enext week or so. I have now only got the wings to master for the Winged NL2 version, and production moulding can begin in earnest. If you have been waiting for your Kickstarter models to be finished and your pledge to be sent and have moved house in the last 4 years since you put your pledge through on the pledge manager shop, please check that I have your new address!! Until 1 MINUTE PAST 12AM ON 26th June, you can save extra money on your order! Discounts are applied automatically when you checkout! Hurry, these offers automatically expire at Midnight, UK time, 25th June! AND THAT'S BASED ON THE SERVER TIME, SO IT MIGHT BE TEN MINUTES EARLIER. Spend £200 or more, get a whopping 25% off your order total!! All these discounts are on top of any existing discounts listed on the catalog prices! 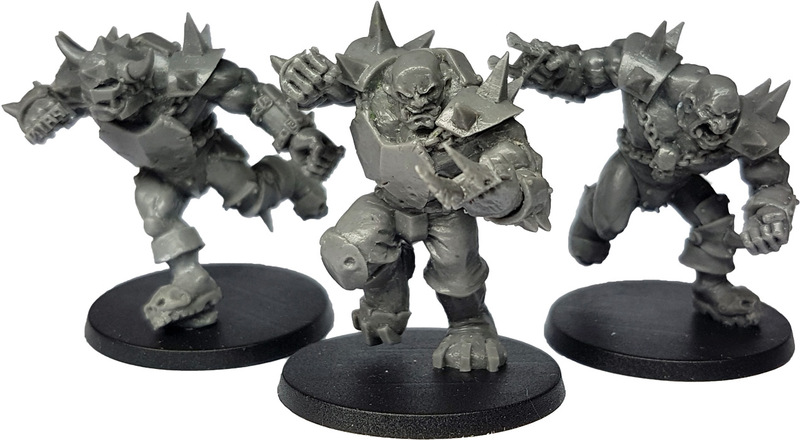 The Deathball Ogres have returned at last! Now in resin for easier assembly, quality casting, and lighter transporting! I have sculpted all new arms, hands and heads for these big bad brutes and made sure that all the parts are interchangable, giving you hundreds of possible combinations! The original Occulaks ar eback, but now with disgusting tendril flavouring! These lecherous, floating, demonic horrors make great end of level bosses for your dungeon or just cool display pieces! You can even buy extra tendrils to upgrade it to your desired ultimate form! 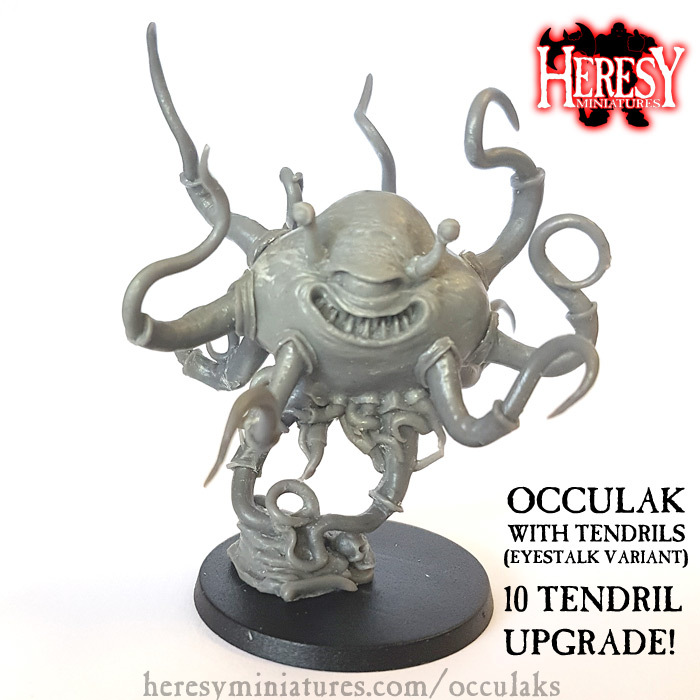 Check out the pre-orders - The Netherlord II has returned and will be winging it's way out later in the year (on or before September) and the Occulak has a new shape to disgust you with! I still need orders to pay the massive bills due next week! 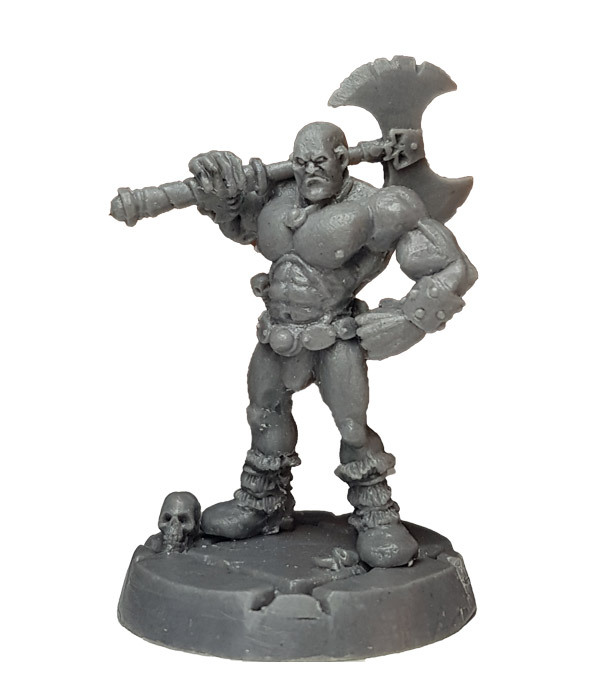 Not only can you get the stupidly good sale offers on all the various models, but for the rest of this week, you can get the otherwise unavailable Job's A Good 'Un Boris that features on the thank you slips I send in the orders! There is no other way to complete your big Boris collection without him! Place an order on the shop before Monday February the 26th. The order must be for at least £50.00 GBP of goods before shipping and after any discounts or voucher codes are used - I need the cash urgently! You may purchase Gift Vouchers if you wish for later redemption, but you will also need to send money for shipping JAGU Boris to your country - Andy will email you to sort this out. 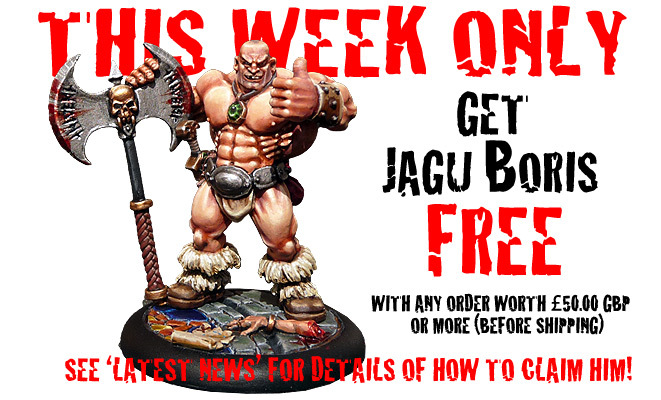 Relax in the knowledge that you didn't miss out on JAGU Boris for your Big Boris Collection! RE: the ongoing delays - I am now only 2 weeks behind on the orders. Finally made it into the February pile! Kep them coming though as I have big bills to pay this month for all the metal I've used as well as the normal rent and so forth! Sale still on! RE: below warning - I am now 3 weeks behind on the orders but catching up fast! If your order is urgent, please let me know by emailing me as I won't see it until I get that far down the pile! Apologies to those of you who have emailed me angrily feeling personally let down as I haven't sent things out in my usual quick time - trying my best to get them all out! Quick note to tell you not to worry if your order seems massively late in shipping - I had so many of them over Christmas that were basically the same order, that I have had to spend the last week furiously casting loads of models and also making new moulds to fill everyone's orders. With that pretty much done, i am now packing for all my life is worth; I've got about a month's worth to catch up on compared to normal. Once your order has gone out I will update the order status and supply any tracking information if you've paid for Express/Tracked & Signed shipping. Meanwhile the Sale is still on until I catch up! Thanks for being so patient and of course thanks for ordering in the first place! PLEASE BE AWARE THAT NO ORDERS WILL SHIP UNTIL JANUARY 9TH 2018 WHEN I COME BACK FROM MY LONG-AWAITED CHRISTMAS/NEW YEAR BREAK! I am one man, I have worked in the workshop every day except for 18 of them this year and I need to take two weeks off as I am utterly exhausted. That is why there is a huge SALE on! To compensate you for any dealys you can get up to 25% off the models, depending on which ones you're after! have a browse and seee how much you can save! The Sale will end in January when I get caught up with everything following my return to work! See the Facebook and Twitter pages for up to the moment news updates, etc. Also the front page of this website usually has the latest news on it. To subscribe to the new Mailchimp-powered newsletter, please click this link rather than the one in the footer for now until I can get it integrated. To unsubscribe, either visit that link or use the link in the newsletter you have received.